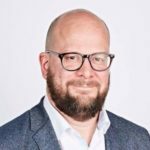 Theo Blackwell: Chief Digital Officer for the Mayor of London (Sadiq Khan), Theo earned an MBE (Member of the Most Excellent Order of the British Empire) and was named in the Queen’s new year’s honours list for services to local government digital transformation! 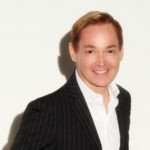 Zack Hicks: Executive Vice President and Chief Digital Officer of Toyota Motor North America and Chief Executive Officer and President of Toyota Connected North America, Zack was awarded the Leadership Excellence Award from AIS (Association for Information Systems)! 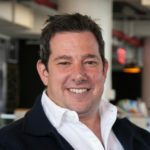 Adam Sussman: Nike Chief Digital Officer Adam Sussman will assume an expanded role to become VP and General Manager for Nike Direct digital and geographies. Sussman will continue to oversee Nike digital. Read more below about Theo, Zack, Adam, and the TWENTY-FIVE other CDOs who made the news in December 2018, including Finnair’s Katri Harra-Salonen; HM Revenue & Customs’ Jacky Wright; New York Public Library’s Tony Ageh; Novartis’ Bertrand Bodson; Pladis Global’s Anthoula Madden; Publicis Media’s Helen Lin; SAP’s Bertram Schulte; and Seven West Media’s Clive Dickens. How did they make news? Find out below. Looking for your dream job? You've come to the right place. Since Thursday, we added ten more open CDO jobs to our Career page, for a total of TWENTY-EIGHT open CDO postings (14 for Chief Digital Officers; 14 for Chief Data/Analytics Officers). These are just three of the 41 CDO articles we tracked in December 2018. We Added 10 More CDO Jobs Since Thursday! 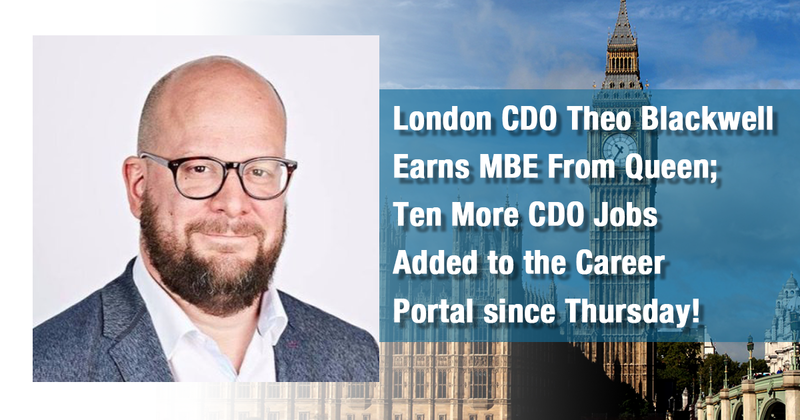 As our regular readers may recall, last Thursday we added eighteen new CDO jobs to our career portal. Today we added ten more open CDO positions, bringing the total of open jobs to TWENTY-EIGHT open CDO postings (14 for Chief Digital Officers; 14 for Chief Data/Analytics Officers).